Do Children Abuse Other Children? When a child is sexually abused most people assume an adult is the perpetrator. In reality, according to Darkness to Light, up to 40% of children who are sexually abused are abused by older, or more powerful children. The younger the child victim, the more likely it is that the perpetrator of the abuse is a juvenile. Sexual abuse between children is often defined as when there is a significant age difference (usually 3 or more years) between the children, or if the children are very different developmentally or size-wise. Sexual abuse does not have to involve penetration, force, pain, or even touching. If an adult engages in any sexual behavior (looking, showing, or touching) with a child to meet the adult’s interest or sexual needs, it is sexual abuse. Children naturally engage in forms of sexual exploration with children of a similar age, size, social status, or power. It is potentially cause for concern if a child is engaging in sexual play with a much younger or more vulnerable child or is using tricks or bribery to coerce the child. Stop It Now describes common and uncommon sexual behaviors in children and teens. It’s important to be able to distinguish between normal sexual behavior and behavior that harms another child. Many times behavior that may seem concerning is actually part of healthy sexual development. A difficult part of peer sexual abuse is that the perpetrators could be victims themselves and possibly are being abused by their parents or caregivers. 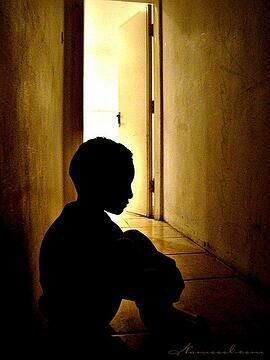 Children who are victims of abuse have three times as many sexual behavior problems as other children. The child may have been emotionally, physically, or sexually abused themselves. The child may have witnessed physical or emotional violence. The child may have viewed sexually explicit movies, video games or other materials. The child may have just acted impulsively without meaning to harm anyone. Peer abuse must be taken extremely seriously for these reasons. It could be an indicator of even worse abuse going on in the child’s home. Peer abuse can be prevented. Adults who work with children must be aware of the potential for abuse between children. Are there places at your organization where children can be alone together? Stand in various spots and look for areas where children could hide or that you cannot see clearly. 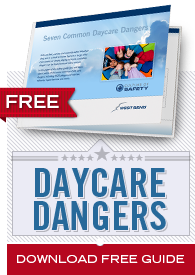 Consider items such as tents or play structures where children can be alone together. Recognize these areas and supervise them closely. Pay attention to children sneaking off to be alone together or trying to find secluded spaces. If you notice a pattern between certain children, take steps to supervise and separate them if needed. Watch for children switching clothes or with their clothes on backwards. In any youth program, supervision and attentiveness is required at all times. This means in the classroom, hallways, playground, bathrooms, and any other place where children are together. Field trips also require extra caution, since you cannot control much of the environment. Take steps to increase supervision during these times and change room or schedule arrangements. It is everyone’s responsibility to keep kids safe, even from each other. If you suspect a child is abusing another child or if a child reports sexual abuse to you, action must be taken immediately. This can be an emotionally taxing experience, but children cannot protect themselves. In many professions, including childcare, employees are mandated reporters. This means there can be legal consequences for not reporting abuse. While mandated reporting laws vary from state to state, the best way to help victims is to report suspected abuse. Contacting local child protective services or a law enforcement agency could potentially prevent another child from being victimized and get a family the help they need.